Eating out is about more than just great food and wonderful service, it’s also about a warm and inviting atmosphere that allows diners to sit back, relax, and enjoy their dining experience. 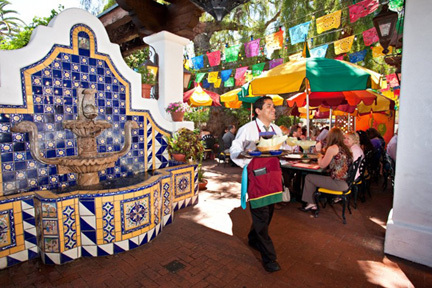 Unwind with us at Casa Guadalajara on our beautiful outdoor patio! You’ll be surrounded by a lush garden, colorful umbrellas, a splashing water fountain and a breathtaking 300-year-old California Pepper tree. This entry was posted by The Guadalajaran on June 27, 2014 at 8:41 pm, and is filed under Blog Entries. Follow any responses to this post through RSS 2.0. You can leave a response or trackback from your own site.